Trading account refers to that account which is prepared by the company to shows the transactions results which includes buying and selling during an accounting period. This account is prepared to ascertain gross profit and gross loss by company within an accounting period. Profit and Loss account is the one of the financial accounts prepared by company during an account period to ascertain whether company is ascertaining profit or loss. Also helps to calculate Net profit or Net loss of the company. It is an Financial statement prepared by company at a particular period of time to ascertain position of company. 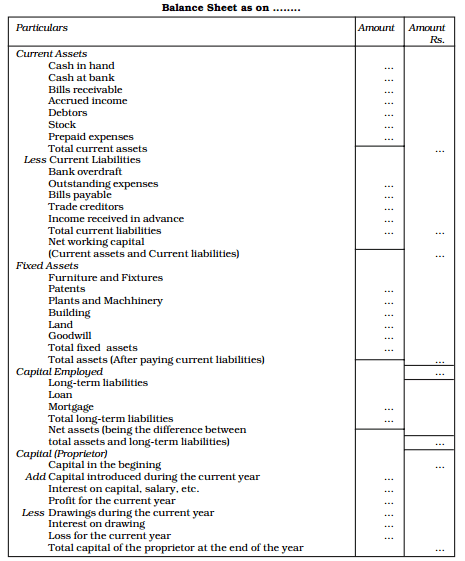 It also shows the nature and amount of assets, liabilities and Capital of a Company . So we have studied about Final Accounts : Trading and Profit & Loss Accounts, Balance sheet. we also discussed trading and Profit & Loss Accounts and also discuss about Company Balance. If you have any query please let us know in the comments scetion.